The Velhas River sub-basin, which is located in the third-largest river basin in Brazil (São Francisco), is in an advanced state of degradation. In this work, the surface water quality of the Velhas River Basin was studied at 65 monitoring sites; 16 water quality parameters were sampled quarterly for 11 years (2008 to 2013). Cluster analysis (CA) and a nonparametric Kruskal–Wallis test were associated with the analysis of violations to water quality standards to interpret the water quality data set from the Velhas River Basin and assess its spatial variations. The CA grouped the 65 monitoring sites into four groups. The Kruskal–Wallis test identified significant differences (p < 0.05) between the groups formed by CA. The results show that watercourses located in the upper region of the Velhas River Basin are more affected by the release of industrial effluent and domestic sewage, and the lower region is more affected by diffuse pollution and erosion. 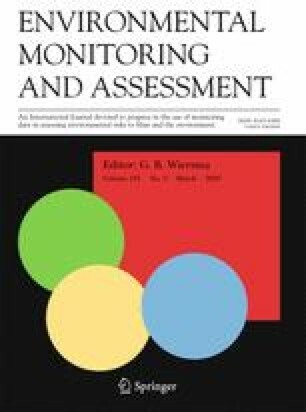 This association between multivariate statistical techniques and nonparametric tests was effective for the classification and processing of large water quality datasets and the identification of major differences between water pollution sources in the basin. Therefore, these results provide an understanding of the factors affecting water quality in the Velhas River Basin. The results can aid in decision-making by water managers and these methods can be applied to other river basins. The online version of this article ( https://doi.org/10.1007/s10661-019-7281-y) contains supplementary material, which is available to authorized users. We would like to thank the Institute of Water Management ofMinas Gerais (Igam) and its technical team for providing the monitoring data and for the constant support and service. This study received financial supports from the National Counsel of Technological and Scientific Development (CNPq), the Coordination for the Improvement of Higher Education Personnel (CAPES), and the Foundation of Support Research of the State of Minas Gerais (FAPEMIG). Almeida, K.C.B. (2013). Avaliação da rede de monitoramento de qualidade das águas superficiais da Bacia do Rio das Velhas utilizando o método da entropia. Universidade Federal de Minas Gerais. http://www.smarh.eng.ufmg.br/defesas/1042M.PDF. Accessed 01 January 2017. Comitê da Bacia Hidrografica do Rio das Velhas – CBH Velhas. (2018). A Bacia. Disponível em < http://cbhvelhas.org.br/a-bacia-hidrografica-do-rio-das-velhas/>. Acesso em: 10 dez. 2018. Conselho Estadual de Meio Ambiente/Conselho Estadual de Recursos Hídricos (COPAM/CERH-MG). (2008). Deliberação Normativa Conjunta COPAM/CERH-MG n°01, de 05 de maio de 2008. Brazil. http://www.siam.mg. gov.br/sla/download.pdf?idNorma=8151. Accessed 15 June 2017. Knupp, E.A.N. (2007). Usos de métodos estatísticos para dados de qualidade de águas: estudo de caso, rio das Velhas. Universidade Federal de Minas Gerais. http://www.repositorio.cdtn.br:8080/bitstream/123456789/908/1/Tese_Eliana_ANonato.pdf. Accessed 21 December 2016. Trindade, A.L.C. (2013). Aplicação de técnicas estatísticas para avaliação de dados de monitoramento de qualidade das águas superficiais da porção mineira da Bacia do Rio São Francisco. Universidade Federal de Minas Gerais. http://www.smarh.eng.ufmg.br/defesas/1037M.PDF. Accessed 18 June 2018.